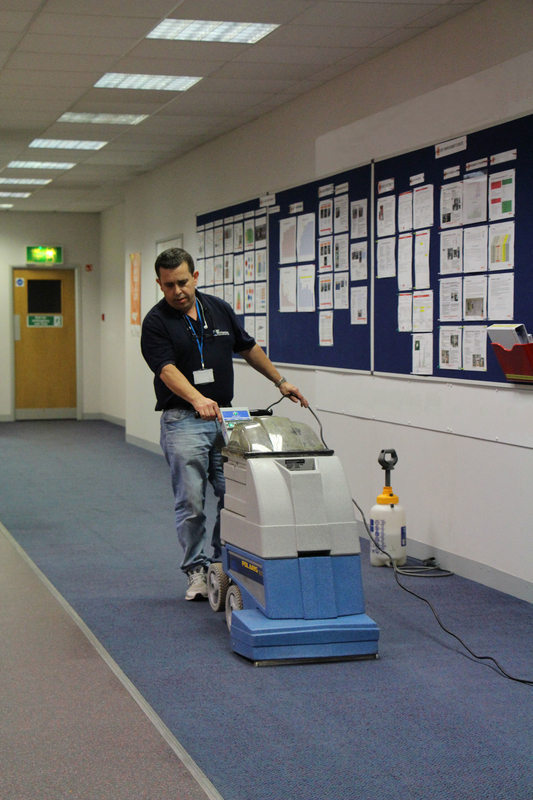 Carpets quickly become dirty in a busy office environment and need to be deep cleaned periodically to stay in tip top condition. 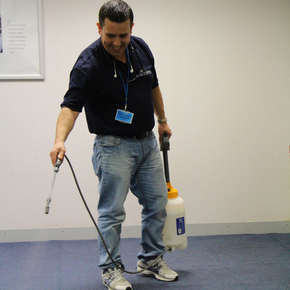 A regular, deep cleaning programme can extend the life of your carpets and floors while keeping them looking fresh and clean. 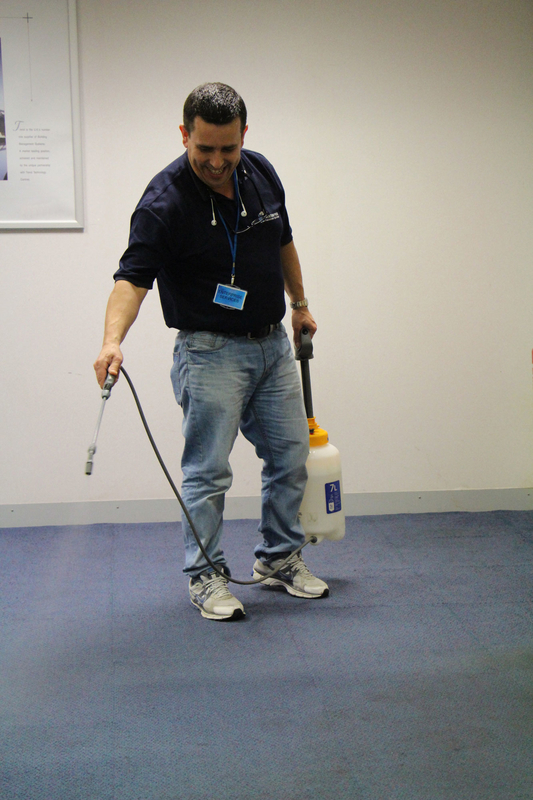 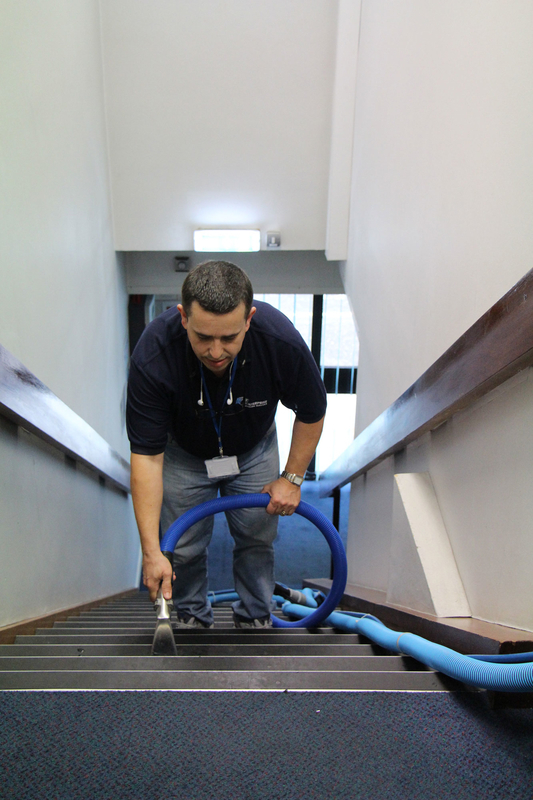 Using our state of the art portable machinery, our team of floor specialists can remove stubborn stains and deep clean carpets, bringing them back to life. 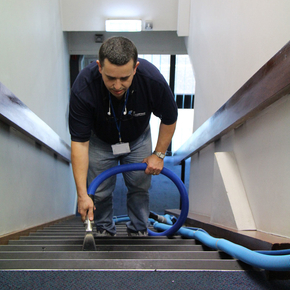 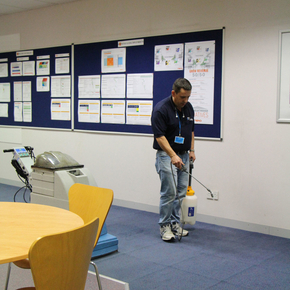 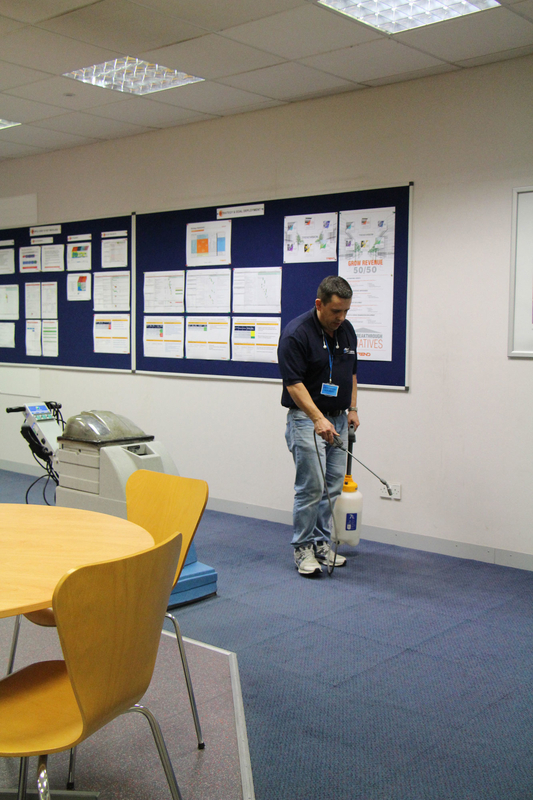 Our system is quick drying, removes dust mites and is ideal on both carpets and upholstery in all types of commercial premises. 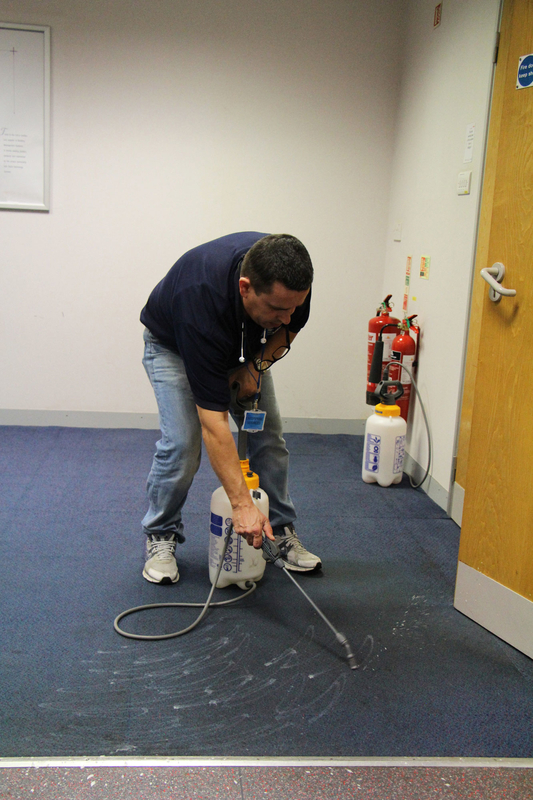 All the cleaning fluids we use are biodegradable and leave no unpleasant odours and we can also offer specialist anti-static, flea and protection treatments. 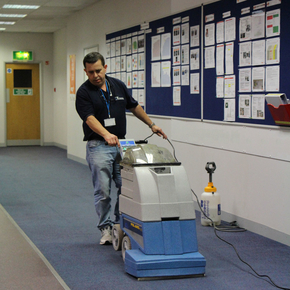 On hard floors our specialists have the experience and equipment to carry out a regular maintenance programme, such as spray burnishing and periodical stripping and resealing, and one off restoration work on all types of surfaces including quarry tiles, marble, thermoplastic, altro, amtico and linoleum. 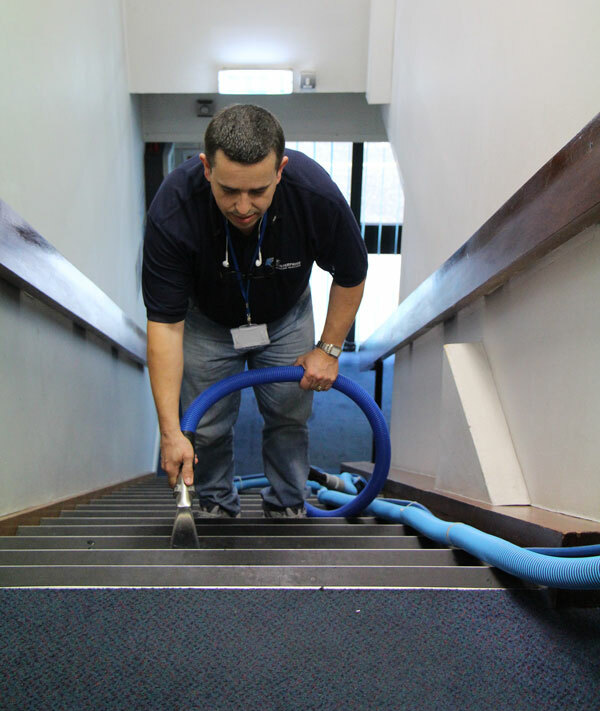 We can also deal with anti-static treatments on hard floors. 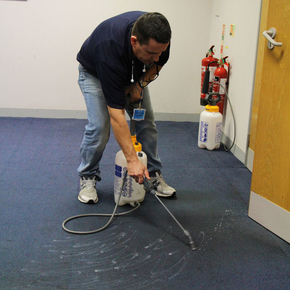 Call us to find out how we can revive your carpets or hard floors!